Keller Williams Realty, Inc. announced a historic milestone for the company. 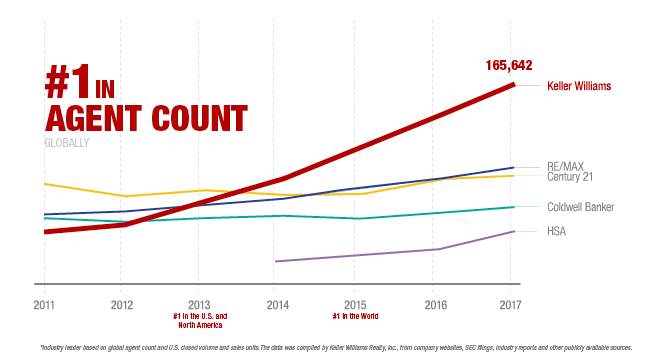 Keller Williams is now the number one real estate franchise in agent count, closed units, and closed sales volume in the United States*. In 2017, the company’s 155,000 US agents closed more than a million units, which generated upwards of $300 billion in sales revenue. This achievement in growth and volume is driven by the commitment and excellence of Keller Williams’ agents and is among the many the company has enjoyed. Maximizing profitability requires creating an environment where agents can build thriving businesses. To help them do so, Keller Williams is committed to delivering the best systems, training, and marketing, and innovative technology solutions. When agents and teams succeed, they attract other talented professionals, which helps the company grow and improves each team member’s overall success – and profit share. 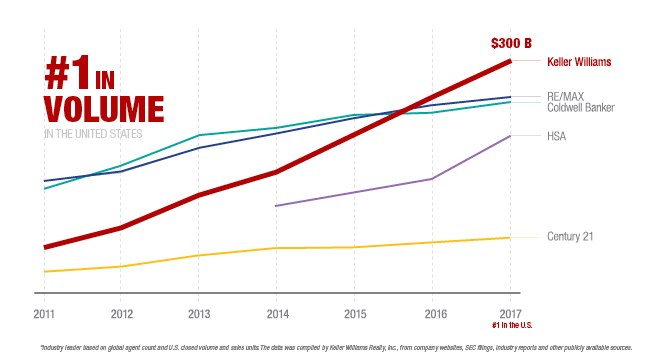 Since the inception of the profit share program, Keller Williams has distributed more than a billion dollars to associates who have helped the company grow. While this is a milestone to be proud of, it is not the final destination for Keller Williams. It has simply positioned it for what’s next in an industry that is rapidly changing. *Industry leader based on global agent count and US closed volume and sales units. 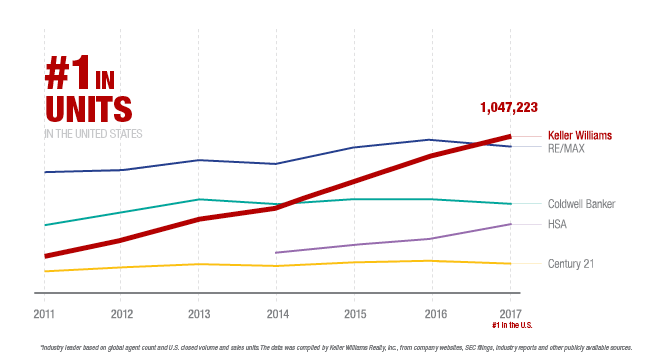 The data was compiled by Keller Williams Realty, Inc. from company websites, SEC filings, industry reports and other publicly available sources.